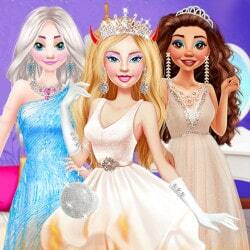 Barbie has organized a party and has invited all of the Disney princesses to take part in the fun. 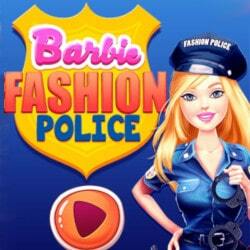 But little did they know that Barbie had a secret plan. 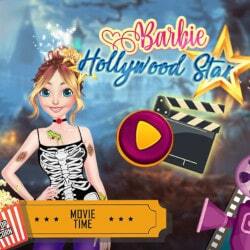 While they were busy watching a movie, Barbie has secretly checked all of their phones and has read the text messages they have received from their boyfriends and she found out that they have asked their girlfriends out on a date so she is planning on going to the dates herself and pretend that she is them. 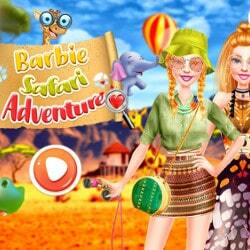 Play this super fun game and help Barbie look like the princesses. First, choose which phone to take and read the text the princess whose phone it is received. Then go ahead and get ready for the date. You will have a reference photo so look at it and then recreate the look. Start with makeup and when you are done with that, go to the outfit and choose the right dress. Then send Barbie on the date and see if the prince notices the change.